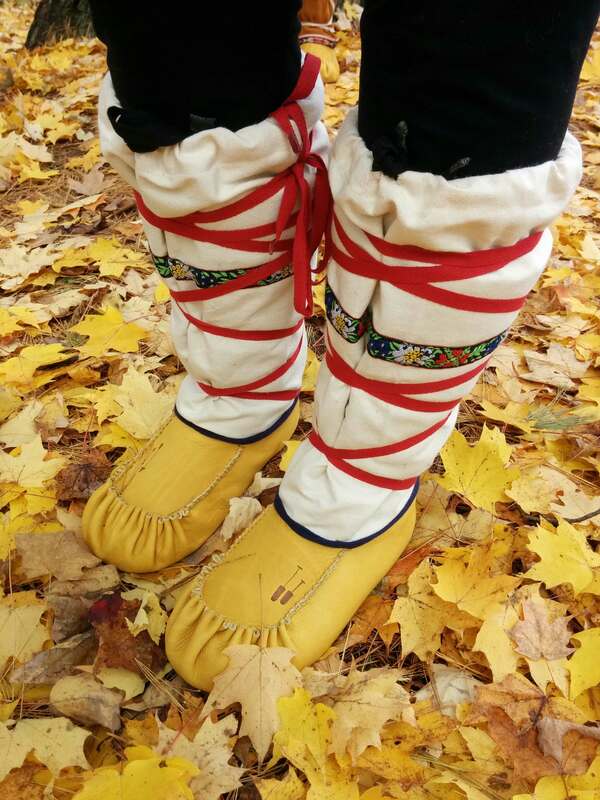 Make a pair of traditional winter moccasins that will keep your feet cozy all day long! 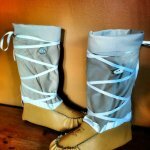 The best footwear for the cold winter months of the Great White North. 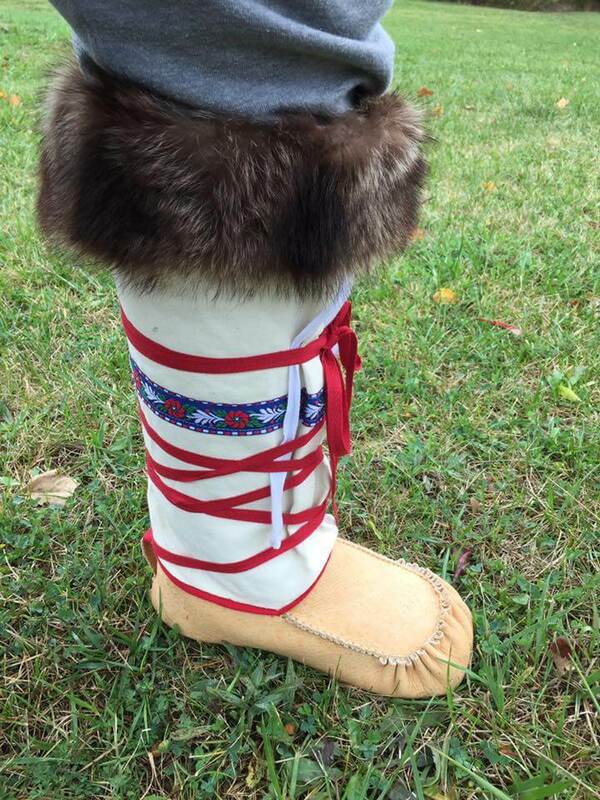 So great, you will wonder how you wore anything but moccasins before. New Simpler Options: Kit prices now include our felted wool liners and insoles, because a great moccasin starts with great insulation. If you want to buy a kit without insulation, let us know we can send a custom invoice. 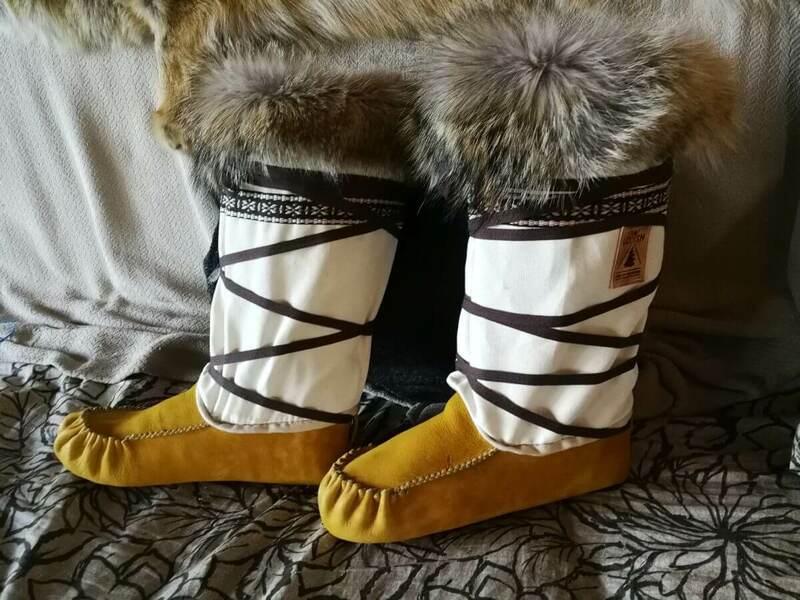 Canvas Upper Moccasin Kit: This is for a canvas upper moccasin kit, which will perform just as well as our hide upper kit, but will have a neater modern aesthetic and accept fur nicely. 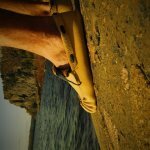 Unlike the hide uppers, a canvas upper is best done with a sewing machine. Both are great options, choose the aesthetic style you prefer. All of the following add-ons are discounted 10% off their regular price! 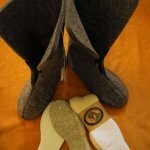 Links for more info: Soling kit, Thermohair socks, Thompson socks. 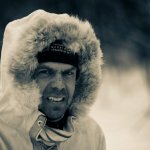 Get ready for the warmest, lightest, coziest pair of winter footwear you have ever worn. 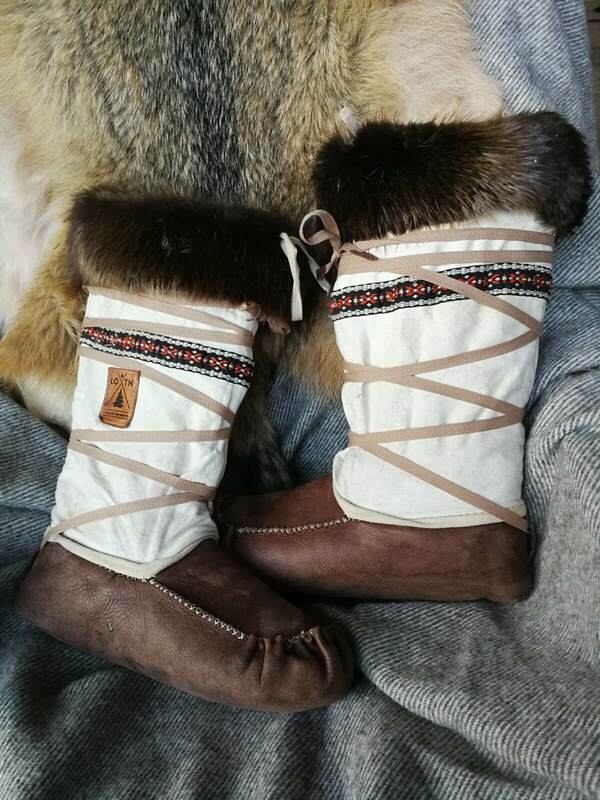 Handcrafted by you – there is simply no more satisfying way to travel in the winter than with a pair of moccasins you have made yourself! 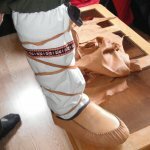 Like all of our products, we have personally tested our moccasins on northern expeditions up to 40 days, and 250 km in length. 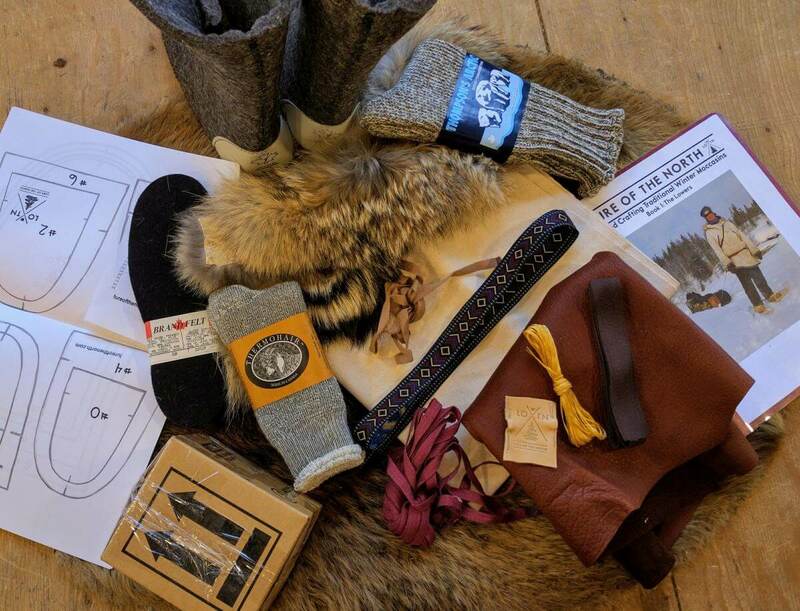 Our winter moccasin making kits include all materials and instructions required to make your own pair of custom, deerskin winter moccasins. You supply socks and a few basic household tools. 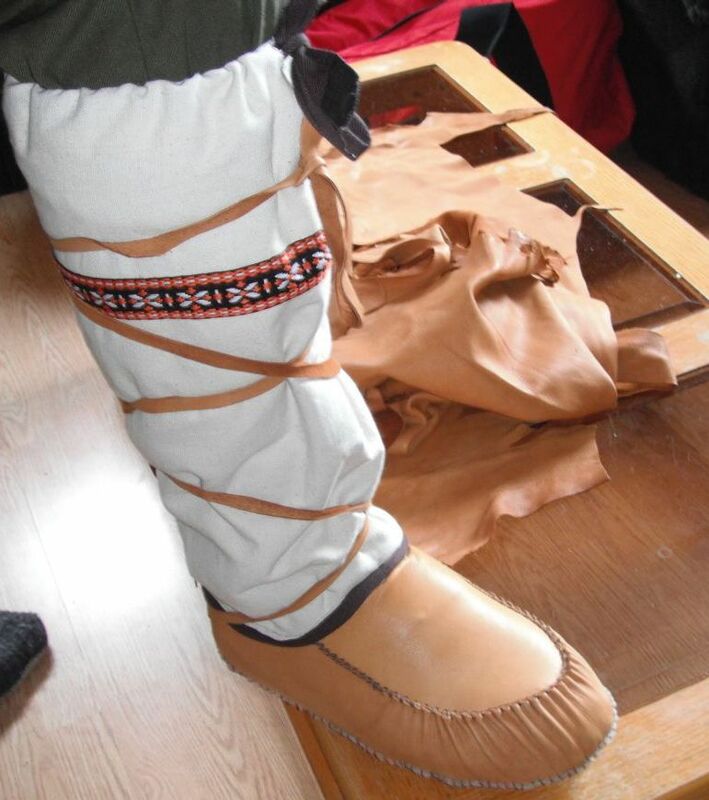 These are the same instructions we provide at our moccasin making workshops, which we have used to help hundreds of people make moccasins in the past 9 years. What’s the Difference? Canvas & Hide Uppers. 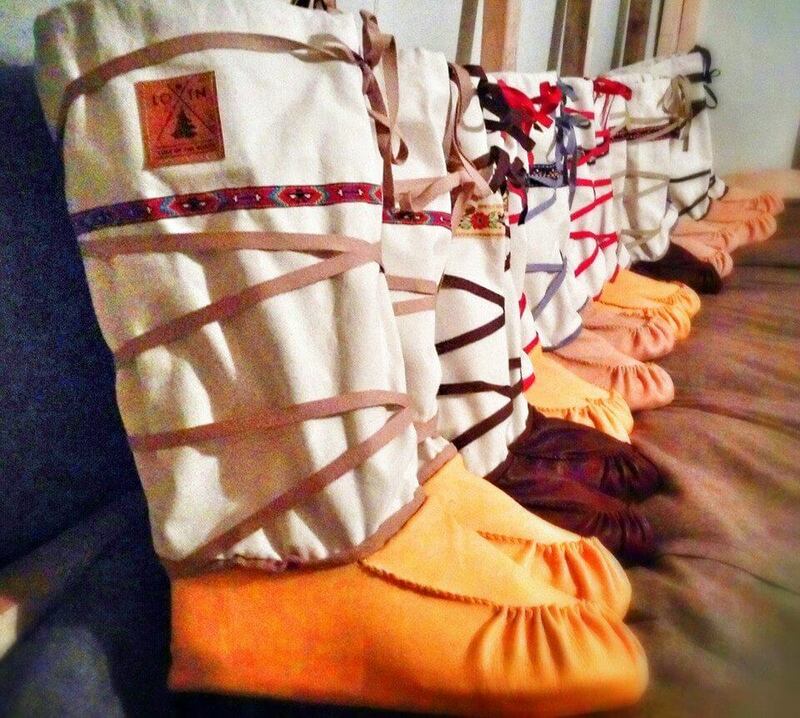 Our hide upper moccasins and canvas moccasins are different takes on the same product. Performance-wise both of these products will behave almost identically. 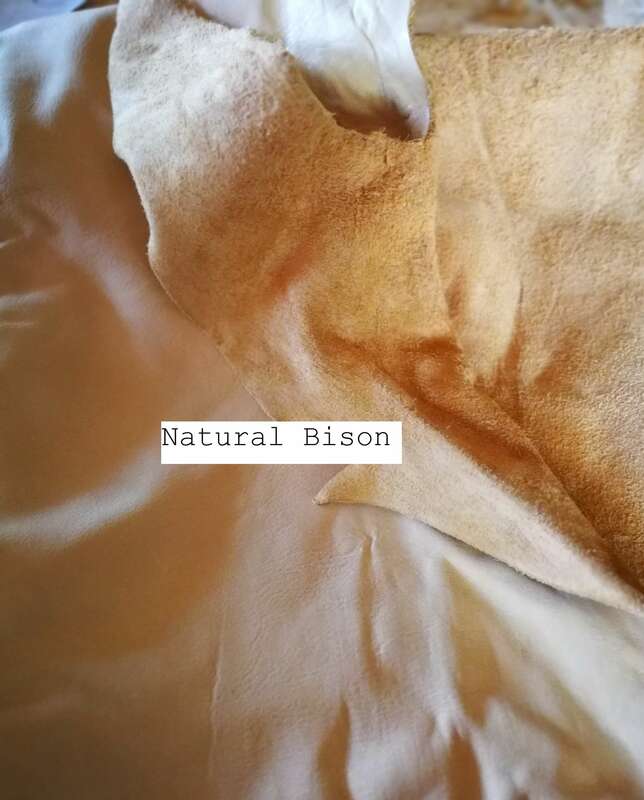 The split-grain hide and cotton canvas are both: lightweight, durable, breathable, nearly wind-proof, quick drying. The choice comes down to one of aesthetics. 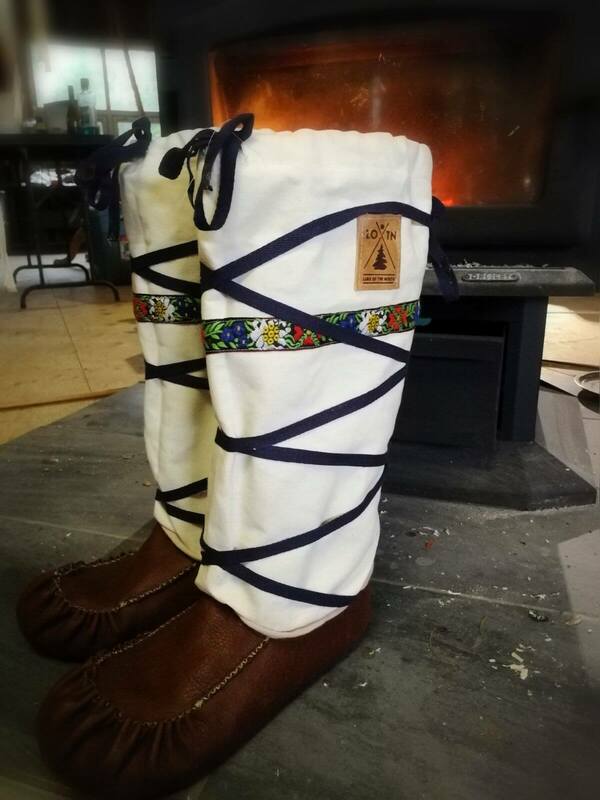 Canvas (this kit): Our canvas moccasins are sewn into a tube which you pull on over your calf (like a standard boot) and then secured with a wrap-around lace. 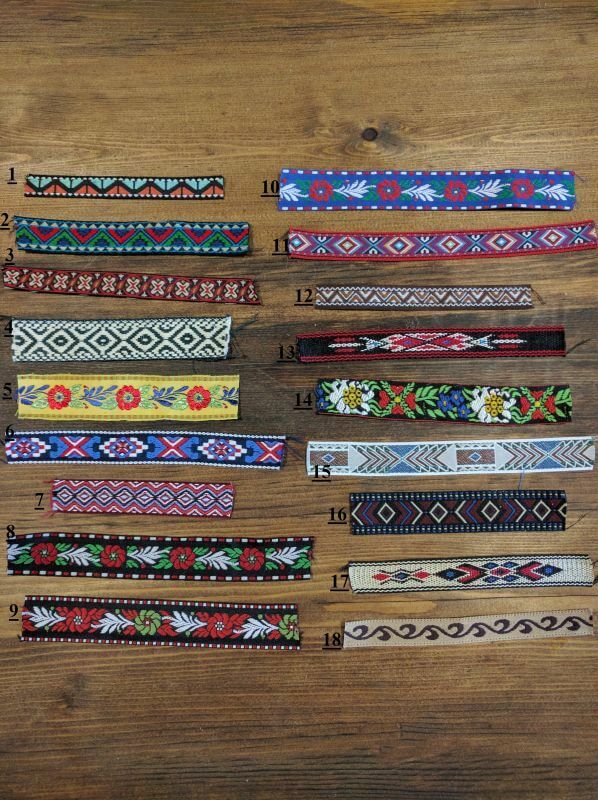 Being a pre-formed tube, the canvas is a better medium for decorative ribbon and fur trim. The canvas can also be dyed any colour you wish. Canvas uppers, being a woven fabric that requires hemmed edges, really are best completed with a sewing machine. 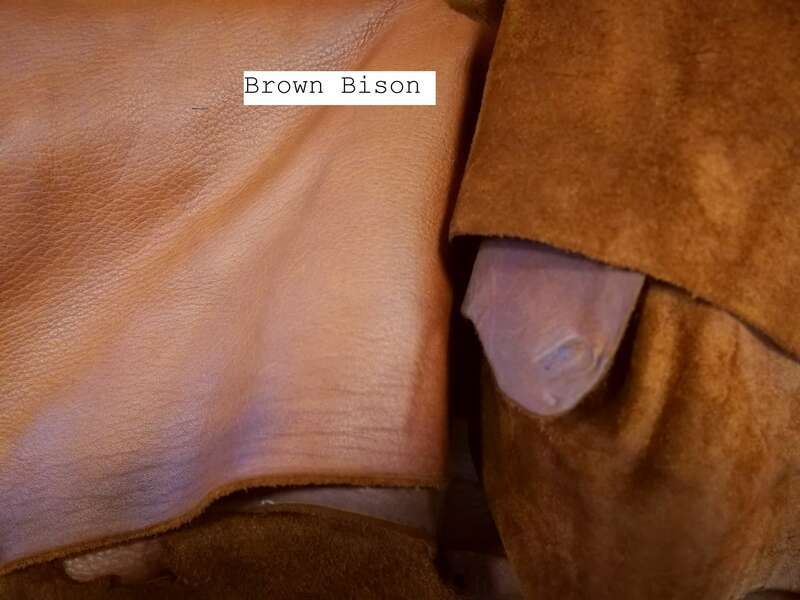 Hide (link): The split-skin moccasins are not sewn up the front – instead they are wrapped around your calf (with a generous overlap to seal out the snow), closed up with a deer antler button and then secured with the same wrap-around lace we use for the canvas. 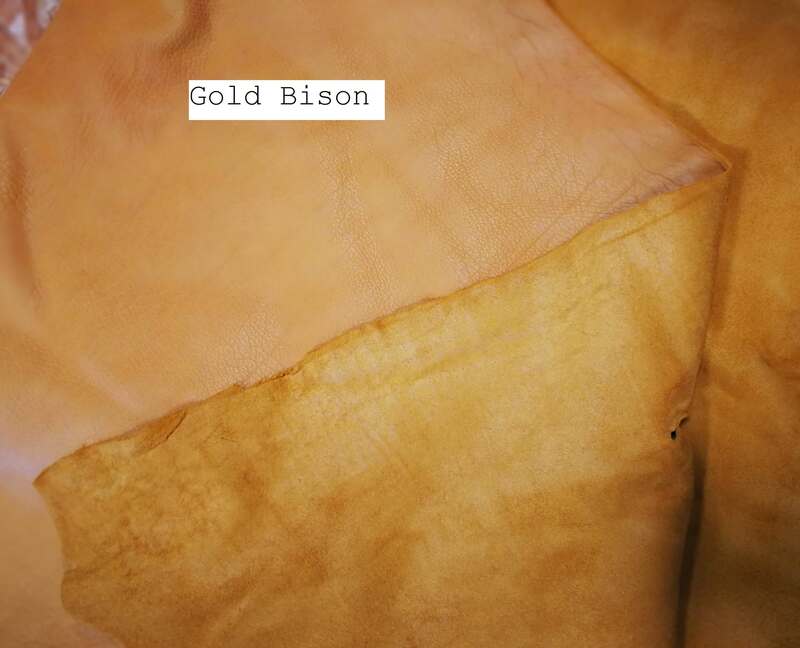 Split-skin hides comes in a wide variety of colours, from earth-tones to fun and funky. Inherently simpler than the canvas, and slightly easier to pull on, choose the hide uppers if you want a very simple style. The hide uppers do not require hemming the way woven canvas does. 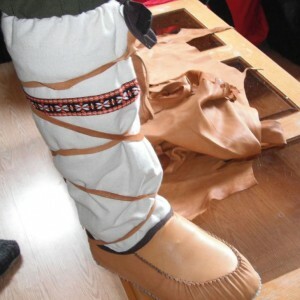 Hide upper moccasins were designed to be completed with minimal or no sewing machine use. WOMEN: Choose your regular shoe size for sizing. For example if you are a size 8 women`s then choose size 8 men`s. This will allow enough room for added insulation and wiggle room. 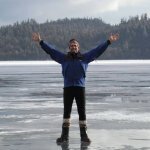 If you are a half size, women will round down. For example a size 9.5W will choose a size 9M. Adding our painted rubber sole to your moccasins will prolong the life of moccasins exponentially with yearly maintenance. See the “Video and Print instructions” tab for a full video of the soling process.